And what about # 2? The second installment of the series, named „Betrayal“, has already been translated and edited and will most probably be published early next year. Have a look at the cover. If you have a SF/F or AltHist-blog or review for a bigger website or other publication, I’m more than willing to provide you with a review copy of „Arrival“ either as ebook or paperback, according to your preferences. Just get in touch with me, please. CreateSpace is a science in itself, especially for a publisher who normally doesn’t use this service. But now the paperback-version of „Arrival“ is also available via amazon.com, please click on this link. While the ebook is now available at amazon.com, there has been an issue with the paperback supposedly to be published through Create Space. The publisher is working on the issue. Furthermore, other ebook-distributors will take delivery of the novel a bit later as the process to get access to them is a bit more complicated than with amazon (which might be a reason why amazon is a much more convenient and successful place). I’ll keep you posted. … the Vigiles… The spin-off-series of the „Emperor’s Men“ starts after the events of the first six novels and is centered around a German police officer tasked with the establishment of a professional police force in Imperial Rome. 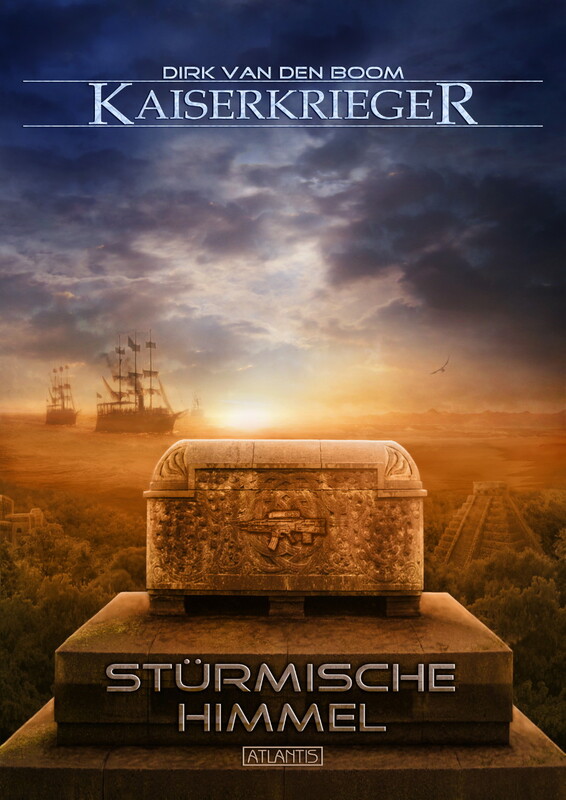 Have a look at the cover of book # 2 in the series, to be published in German end of August. It’s there. And it took it’s time. It took quite some time. It’s now coming, and soon. What was the delay? Technical problems? Laziness on behalf of my publisher? Well, yes, the last part a bit, but it was mainly issues of… taxation. Well. The novel is now available for pre-order as ebook from amazon.com. A paperback-issue through CreateSpace will be added shortly. Other ebook-distributors as well, amazon.com has been comparatively the easiest. I will keep you updated about developments. What is the novel about again? It’s alternative history. Everything is ready, everything is done. Only the publisher has some issues fixing the dollar-pricetag from a German amazon-account. It seems to be a challenge, which, hopefully, will be overcome in short time.